To figure out their options for addressing the dreadful rotation via free agency I've grouped the available arms into three categories: Top-of-the-rotation starters, middle-of-the-rotation starters, and back-of-the-rotation starters. First up are the top-of-the-rotation starters, which I view as a No. 1 or No. 2 starter on a contending team. By definition there are only around 40 of those guys across baseball, but a decent number of them are hitting the open market at the same time. There are less likely Twins reunions (Kyle Lohse, for instance), but not many. Garza was misguidedly traded away for Delmon Young as a 23-year-old in 2007 and has gone on to post a sub-4.00 ERA in every season since. He never quite developed into an ace, but has been a solid No. 2 starter with good strikeout rates and mediocre control. He bounced back fairly well from an injury wrecked 2012 campaign and at age 30 is likely in line for a huge payday. For the second straight offseason Kuroda is one of the elite free agent pitchers available and for the second straight offseason no one seems to think there's any chance he does anything but re-sign with the Yankees. Kuroda will be 39 years old before Opening Day, but showed zero signs of slowing down this year in terms of workload, raw stuff, or effectiveness and has posted a sub-3.50 ERA in each of the past four years. 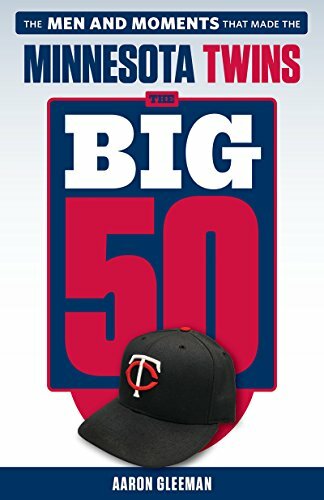 He'd cost the Twins a second-round draft pick to sign. Burnett was written off as a bum thanks to three ugly seasons in New York, but the Pirates gladly let the Yankees pay them to take him for two seasons and got 393 innings of a 3.41 ERA. Among the 81 pitchers to qualify for the ERA title this year Burnett ranked fourth in strikeout rate, second in ground-ball rate, and eighth in xFIP, but at age 37 it's possible he'll retire and if not the Pirates seem confident he'll re-sign. Johnson has always struggled to stay healthy (150-plus innings four times in eight seasons) and always pitched like an ace when not hurt (3.40 career ERA), but this year he was injured and ineffective. However, his secondary numbers were vastly superior to his bloated 6.20 ERA, including more than a strikeout per inning, and his fastball averaged 93 miles per hour. At age 30 no free agent pitcher has more upside, but Johnson's injury history is impossible to ignore. No free agent pitcher improved his stock more than Santana, who went from the Angels dumping his $13 million salary on the Royals to throwing 211 innings with a 3.24 ERA at age 30. It's perfect timing and his horrible 2012 now looks out of place next to sub-4.00 ERAs in 2010, 2011, and 2013, but Santana remains very homer-prone and hasn't topped 7.0 strikeouts per nine innings since 2008. And he'd cost the Twins a second-round draft pick to sign. Jimenez emerged as a young ace for the Rockies and was acquired by the Indians in a mid-2011 blockbuster, but his raw stuff steadily declined and he was a mess in 2012. He got back on track in a big way this year, throwing 183 innings with a 3.30 ERA and 194 strikeouts, but his average fastball velocity actually fell even further to a career-low 91.7 miles per hour and he's always been extremely wild. He'd cost the Twins a second-round draft pick to sign. One of the best, most underrated starters of this generation, Hudson was having another effective year at age 37 when a fractured ankle ended his season in July. Hudson is overlooked because he doesn't rack up tons of strikeouts, but among all pitchers with at least 1,000 innings as starters since his debut in 1999 he ranks fourth in ground-ball rate and fifth in homer rate. It seems doubtful that he'd want to finish his career on a non-contender, but Hudson is a helluva pitcher. Haren's health status made him a big question mark last winter and he chose a one-year, $13 million deal with an eye on resurrecting his value and hitting the open market again. Things went horribly for him early on, but from July 1 through the end of the season he started 15 games with a 3.29 ERA and 84/18 K/BB ratio in 88 innings. Injuries and diminished raw stuff make Haren a risk at age 33, but his secondary numbers were much more impressive than his ERA. 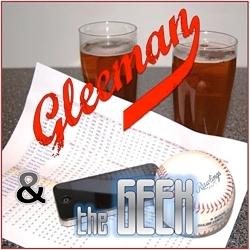 For a lot more about the Twins' free agent pitching options, check out this week's "Gleeman and The Geek" episode.